GLL was proud to partner up with the Epsom & Ewell District Sport Council to present the GLL Sport Foundation at the local awards evening. The awards night is an annual event celebrating the sporting talent of Epsom & Ewell including coaches, volunteers, teams and individuals. Every year GLL is a key sponsor and gives out an award, but this year the GLL Sport Foundation was also showcased. GLL Sport Foundation athletes were invited to attend the awards, their 2016 achievements were celebrated and each athlete received a certificate and a piece of kit. 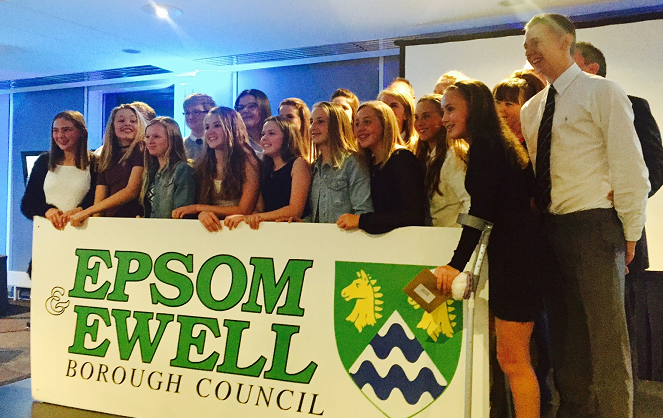 Over 120 local people attended the awards evening held at Epsom Downs Racecourse. 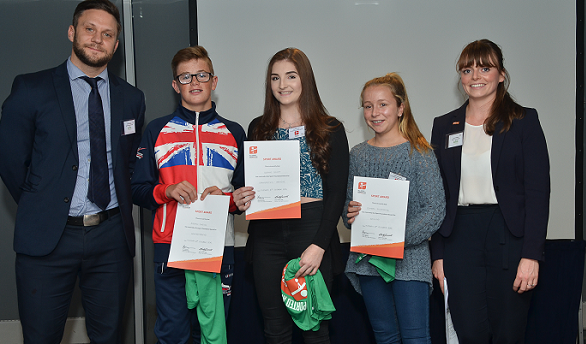 GLL Community Sport Manager, Laura Mangan held a 20 minute presentation on the foundation and presented three GLL Sport Foundation supported athletes with a certificate and piece of kit to celebrate their 2016 achievements. The Mayor and Mayoress were present and commented how inspiring it was to hear about all the developing young talent in the borough. GLL sponsored the ‘Better Sports Personality of the Year’ which was presented by Partnership Manager, David Hughes. 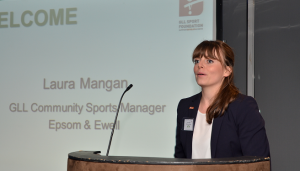 The GLL Sport Foundation was delighted to be part of the Epsom & Ewell Sports Awards and going forward will hopefully be involved on an annual basis. It was a fantastic evening which highlighted GLL’s charitable social enterprise status. The presentation was a great way of talking about GLL in an organic way. Partnering up with the sports council also strengthened the relationship and provided new local contacts so that the foundation can support even more local athletes in the future.